POSCOM work with a broad range of Point of Sale (POS) software providers to ensure we have the perfect point of sale system solution for your business. Our comprehensive POS packages ensure we cover all bases to provide tailored POS solutions for your needs in any and all business industries. 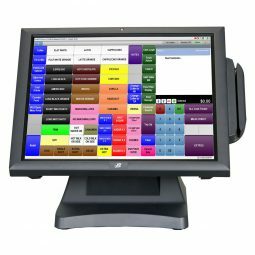 Investing in a complete POS package eliminates the hassle of searching for individual hardware or software for your point of sale system. With POSCOM, you can find everything you need to optimise your POS. Having one provider for your POS parts streamlines the support system. That means there’s only one number to call when unexpected emergencies occur. Plus, POSCOM has the largest POS support infrastructure in New Zealand, so you’re sure to find a reliable local dealer in your area. Buying or leasing from POSCOM ensures everything is top-notch quality and matches industry standards. We’ll ensure you’re always updated with the latest in POS hardware and software technology. For added convenience and value, POSCOM can configure your Point of Sale system package for only $90 (+GST) before dispatch. You’ll receive your system put together (without PC/tablet), and have your printer already set-up by our POS experts for an affordable price. Vend Package – iPad bracket, cash drawer, scanner, and printer at $1000 +GST. POSBOSS Package – iPad bracket, cash drawer, scanner, and printer at $1000 +GST. SwiftPOS Package – UPOS, cash drawer, 2D scanner, and printer. Please enquire for pricing. IdealPOS Package – UPOS, cash drawer, 2D scanner and printer at $2500 +GST. Advanced Retail Package – PC, 22” screen, wireless kb/m, cash drawer, linear scanner, printer, and label printer at $1750 +GST. Infusion Package – PC, 22” screen, wireless kb/m, cash drawer, linear scanner, printer, and label printer at $2350 +GST. Revel Package – iPad bracket, cash drawer, scanner, and printer at $1000 +GST. Cin7 Package – iPad bracket, cash drawer, scanner, and printer at $1000 +GST. Lavu POS Package – iPad bracket, cas drawer, scanner and printer at $1000 +GST. Lease your POS system with POSCOM and get installation included. Simply talk to your local dealer today!